My best friend, Heather and I had the pleasure of being guests at The Clift Royal Sonesta Hotel during our time in San Francisco. The Clift Royal is a contemporary luxury hotel with roomy quirky guestrooms and suites. This landmark hotel has the wow factor when you enter the reception and then again when you open the door to your room. 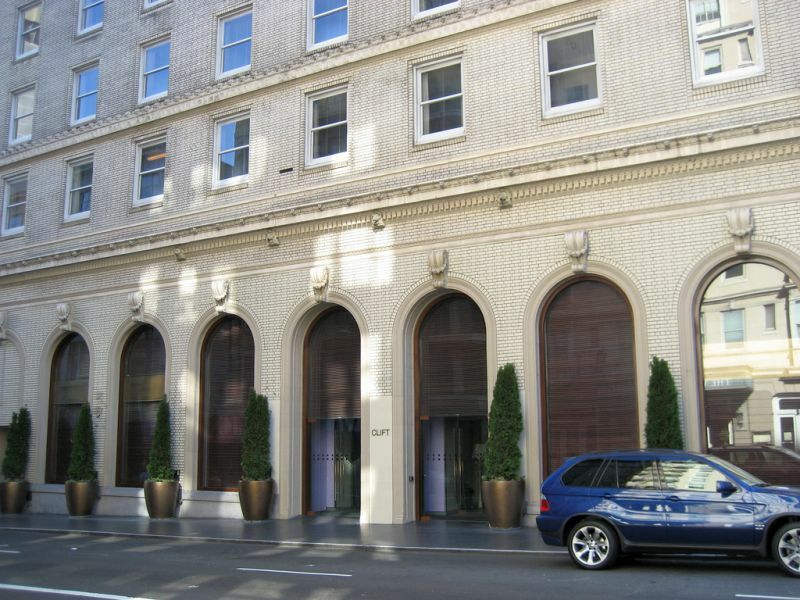 Conveniently located near Union Square – this hotel is right in the middle of the action and a great base for a trip. There are plenty of attractions within walking distance and very good transport links, trams, trains and buses on the doorstep. At night there are ample restaurants and bars that are in easy reach. The easiest way to get to the Clift from SFO is the BART to Powell Street station and then a short walk. You definitely won’t need to rent a car if you stay at the Clift! The hotel is large, it was once even one of the largest hotels in the state of California. We had the pleasure of staying in a one bedroom suite. 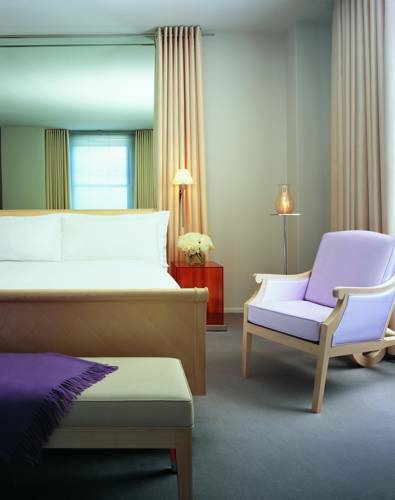 The room was spacious and modern with luxurious Philippe Starck maple furniture. The bed was incredibly comfortable, and great to arrive to after a transatlantic flight. Each room comes with robes, a mini bar, Malin& Goetz toiletries and a flat screen TV. One of my favorite features of our room was the large dining room which could serve for both work and eating. 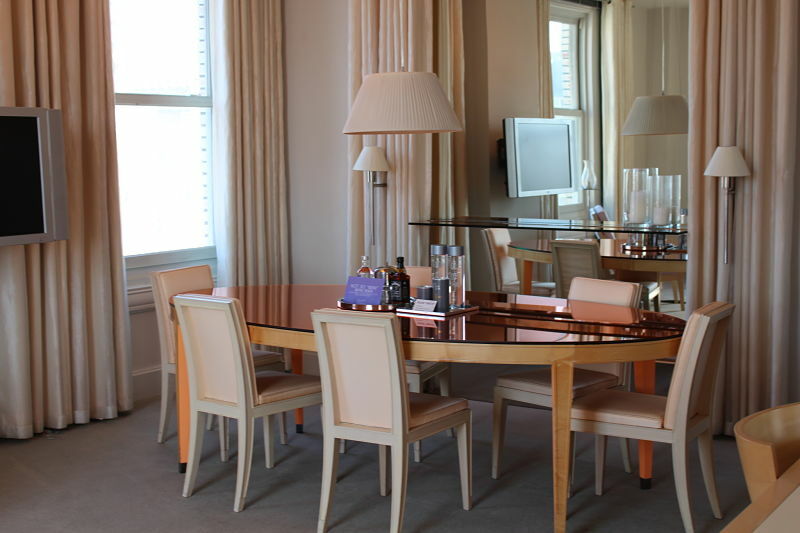 This work space makes the Clift Royal perfect for business travelers as well as tourists. Try to book a room on one of the top floors and you’ll be in with a treat – unparalleled views of the city. Having explored all of the room types at the Clift, one thing struck me - all of the rooms are massive! The rooms are all definitely much bigger than what we are used to in Europe and provide plenty of space for you to lay down multiple suitcases. The best thing about the Clift Royal is the people. The staff are great, helpful, kind and extremely friendly – nothing is a problem. I find in luxury hotels this is what really makes the difference. Not only are the hotel and its' staff great, but the Clift Royal also offers many resident perks. Round-the-clock tea and coffee available in the reception along with complementary bikes for you to explore the city. The Clift Royal is particularly well known for it’s high style interior with designs from Philippe Starck and Ralph Lauren. 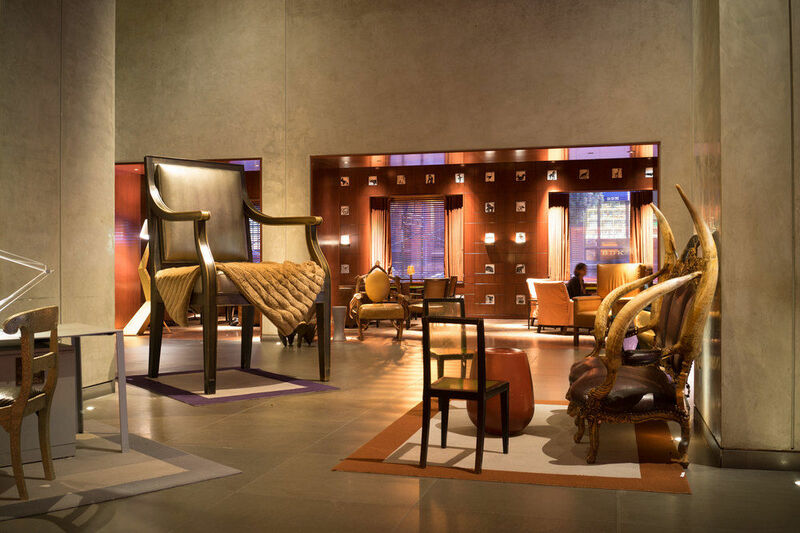 The hotel’s lobby is museum like in its curation of iconic pieces of furniture, including Starck’s signature giant armchair. The corridors on each floor are lavender in colour, a stark contrast to the lobby they help create a calming atmosphere before you enter your room. At the Clift Royal you’ll find the Redwood Bar – a bar of major historical importance in the city. The bar is completely paneled with the wood from one redwood tree. This is a rock solid city centre hotel with the boutique experience and I could not recommend it more. To book a stay at the Clift Royal Sonesta visit their website here for the best offers. Kiki was a guest of The Clift, however all opinions are her own.